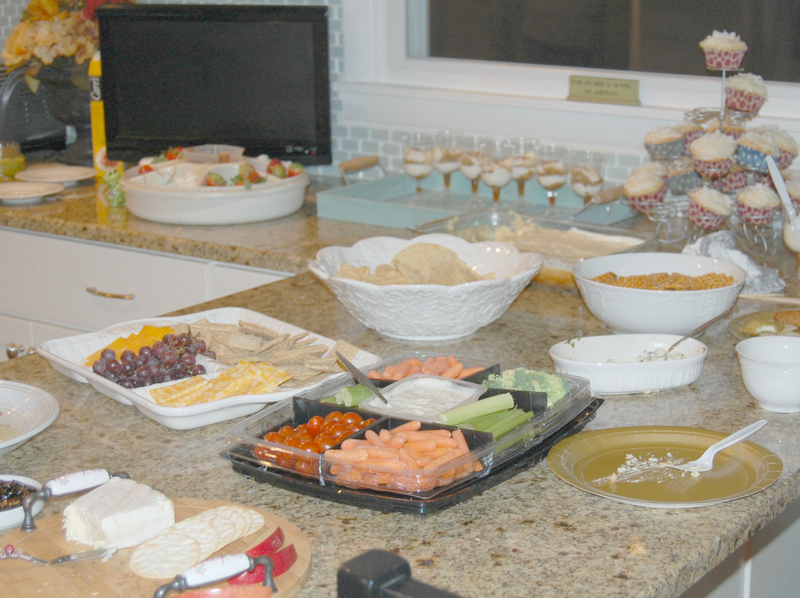 Swap Parties are synonymous with cookie exchanges. But the Swap party I had this past month has by far been my favorite. I am part of an amazing mom's group and we get together once a month for some much needed girl time. Last month I decided to try and host a Swap Party. So here are the things we did and what made it a complete success! First, invite some good friends. I was fine if anyone brought a friend, but wanted to make sure all who came, participated in the fun. I told my friends to bring 5-10 items to swap. 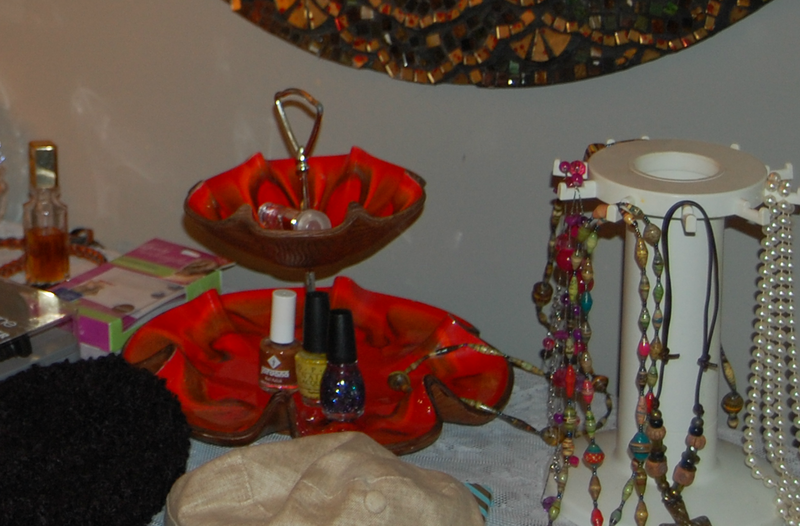 These things could be household, jewelry, accessories, clothes, books, etc. 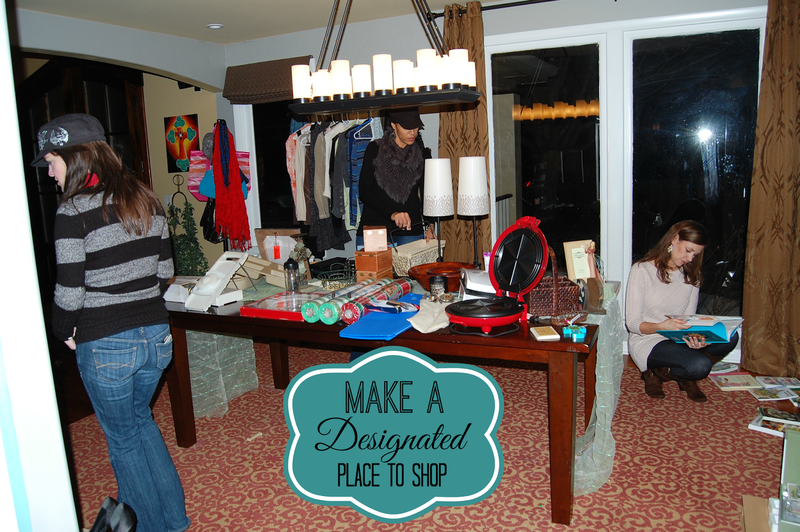 Secondly, make a designated place to set up shop. I chose my dining room. Use Items to create levels and hang accessories. 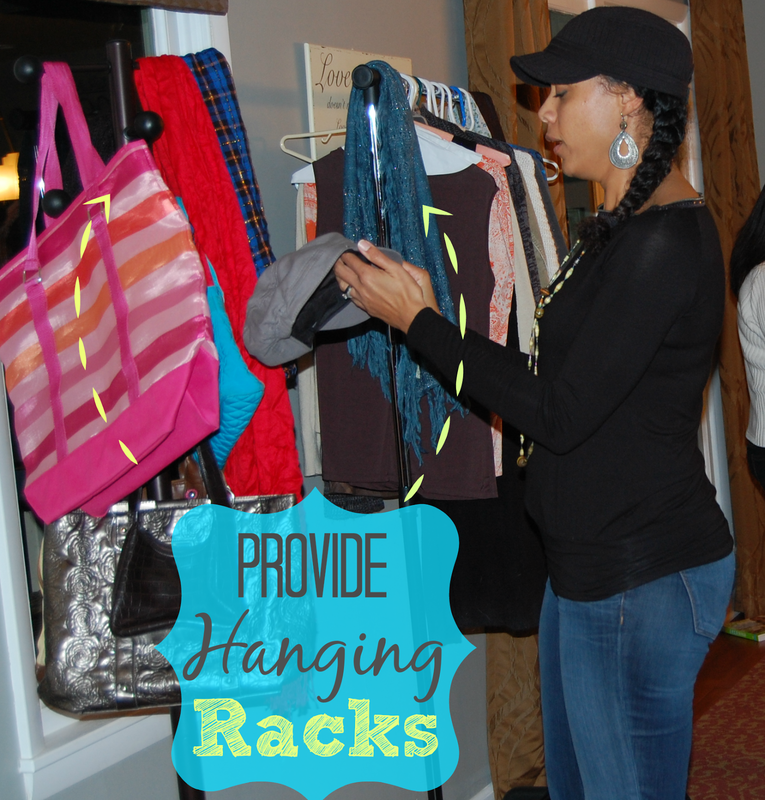 Provide Hanging racks for clothes, purses, and scarfs. Make lots of yummy finger foods to dine between shopping. 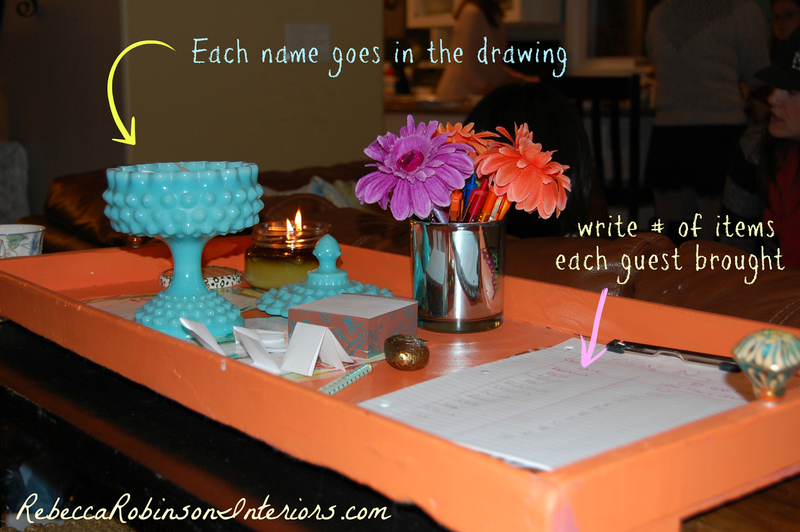 When each guest arrives, have them write their name on a small piece of paper for the drawing. Also, have them write the # of items that they brought. To keep it simple, go through the drawing completely so everyone has a turn. Then put all names back in the drawing. Your name can go in the drawing as many rounds as you brought items. I called two people to shop at a time to move things along and make it interesting. We were hoping for some shoving and fighting over one key item, but our group was too nice. WINK WINK! 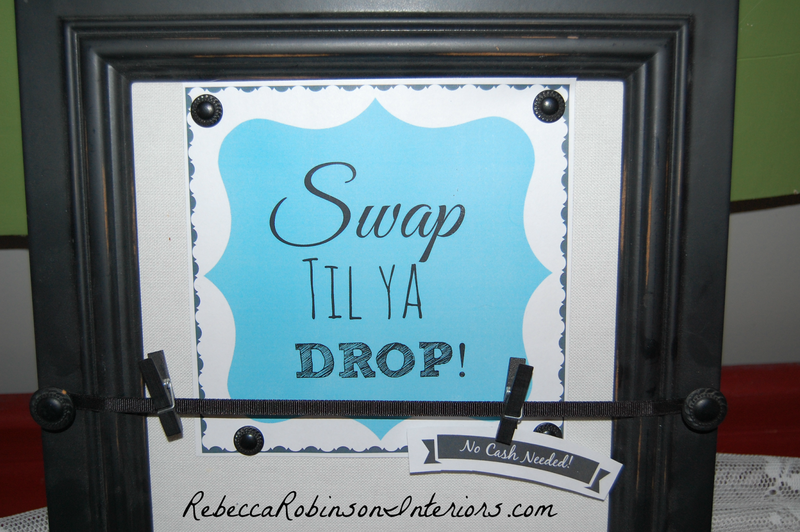 A swap party is a more fun than yard saling or going to a flea market. You don't need any money and the most part, your friends are going to bring their "Good Junk". Here I am seen holding two original water colors from Paris. Of course, whatever is left over you can give to charity or goodwill. And this guy ~ Well, he is going to be our mascot. Ha! All the ladies from my mom's group want to do this at least a couple times a year. We all had so much fun! 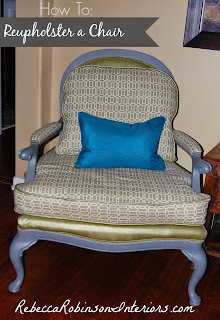 It is a great way to revaluate the "things" you have and clean out your closets. 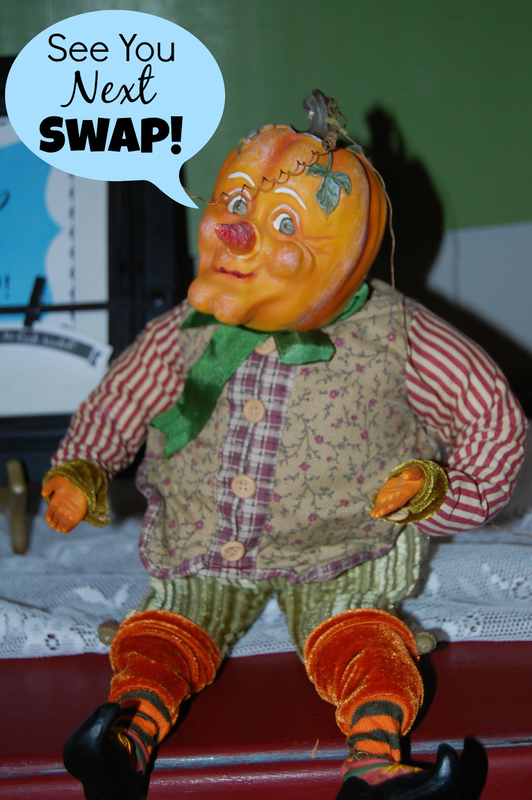 I know that most of us got rid of several things additionally to the swap items. 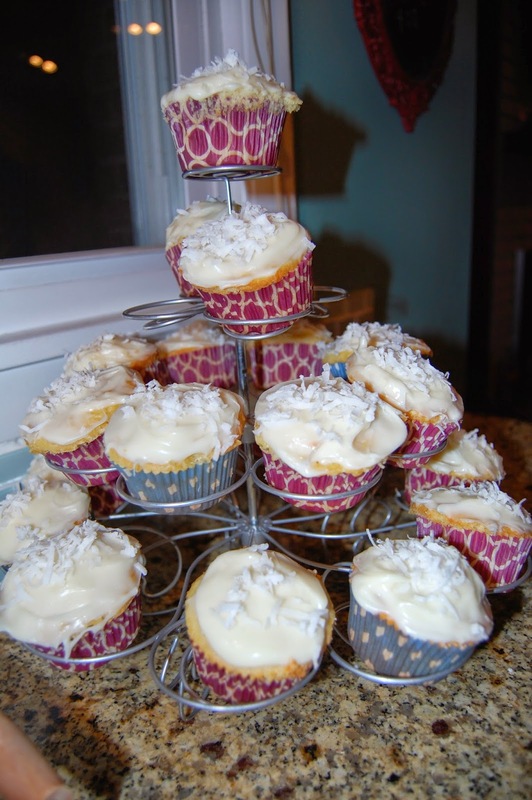 I hope this has inspired you to host your own Swap Party. 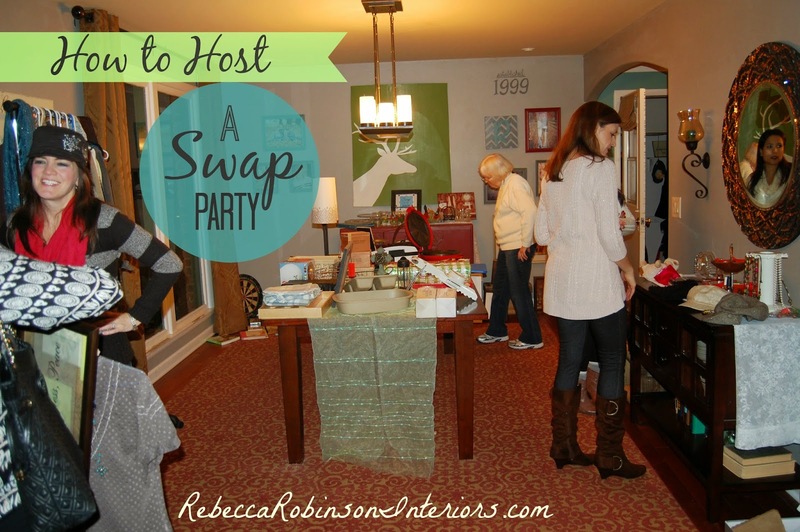 I LOVE the idea of a swap party...going to have one! And thank you for your kind comment on my blog re the pin it buttons. Yes, I too struggled to find a good video on it, especially with sound/voice instructions! Glad you liked it. Your made my day with a comment. That post had been viewed over 1500 times and not one person, other than yourself has left a comment! Thanks girl! I am learning through experience that commenting on blogs that I like really encourages people to keep going with their creativity. Thank you again for the video, for your hard work! That is insane that that many people looked at the video~ but didn't comment. 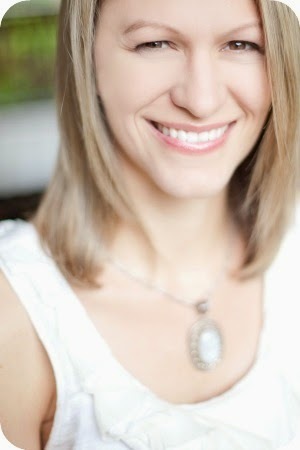 I am also starting to ask in my posts for people to leave me a comment and let me know what they think. THAT sounds simple, but has made a difference.